Océ - EP Technology Inc.
Océ printers are perfect for Color, black & white and CustomTone (spot color) cutsheet and sheet fed production printers for transaction, graphic arts, commercial printers and corporate environments. 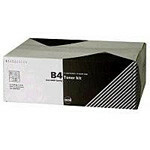 Finishing includes booklet making, binding, stacking, stapling, punching and folding. Use genuine Océ cartridges for perfect Color, black & white and CustomTone (spot color) for cutsheet and sheet fed production printers. Microplex Solid F40 – Now Available! 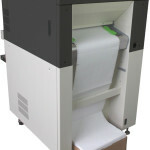 Low operating costs as well as the low cost price make this the most economic printer in it's class. 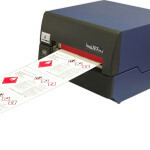 A Two-Color, 8” wide, Twin Print engine design, GHS Compliant Thermal Transfer Printer. © 2019 EP Technology Inc.